The Annual La Musica Festival in Sarasota Florida fulfills its mission to bring together the finest musicians of Europe and the Americas to present exciting programs of familiar and unusual chamber music, communicating a joy in performance to enthusiastic audiences. Stork Organic Baby is a boutique offering items to help bring up your child in a natural, healthy and safe world. Products are carefully selected to make sure it is safe for your child, made of the highest quality, and has low impact to the environment, as well being fun, stylish and unique. 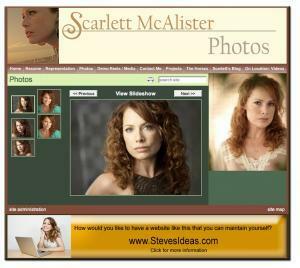 Actress Scarlett Mcalister is a Los Angeles film actress and native Texan who has appeared in more than 40 films and 250 commercials. Georanne is a Real Estate Agent, specializing in new home sales in the Dallas/Fort Worth Metroplex. She is licensed by the State of Texas Real Estate Commission, and her work is far different from most agents.